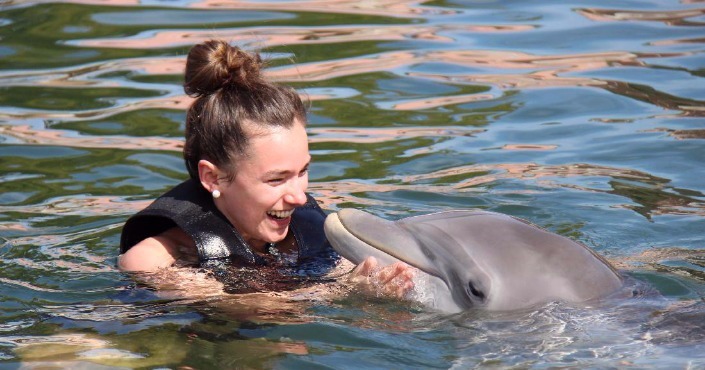 Now during your stay in St. Kitts, you can enjoy a great swim with dolphins. 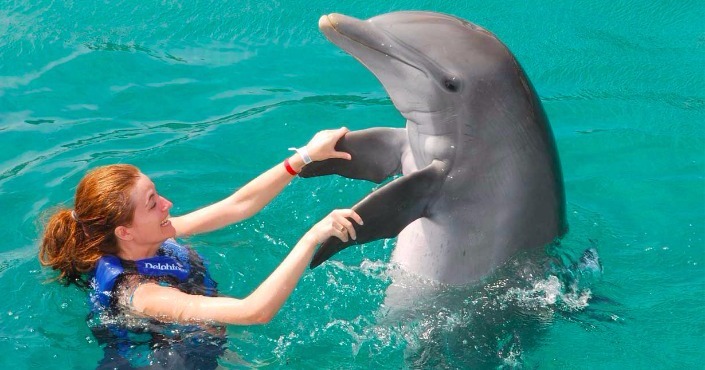 You’ve seen the photos and videos; perhaps you’ve even seen dolphins in aquariums or happily swimming on the water surface.What the Dolphin Swim Adventure invites you to do as you immerse yourself underwater is to take a closer look at the marine mammals world for a magic moment with dolphins. 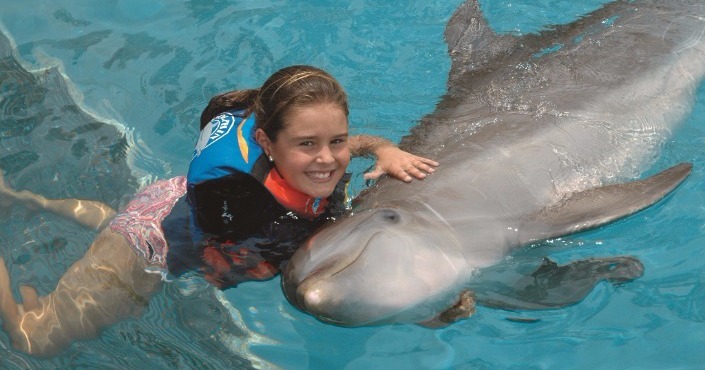 When traveling to St. Kitts, the ideal thing to do is the Dolphin Encounter Program because it was created for all ages.In Dolphin Discovery at St. Kitts you and your children can enjoy safe and fun activities that are especially designed, like swim with dolphins in the Caribbean (not a pool or an aquarium).